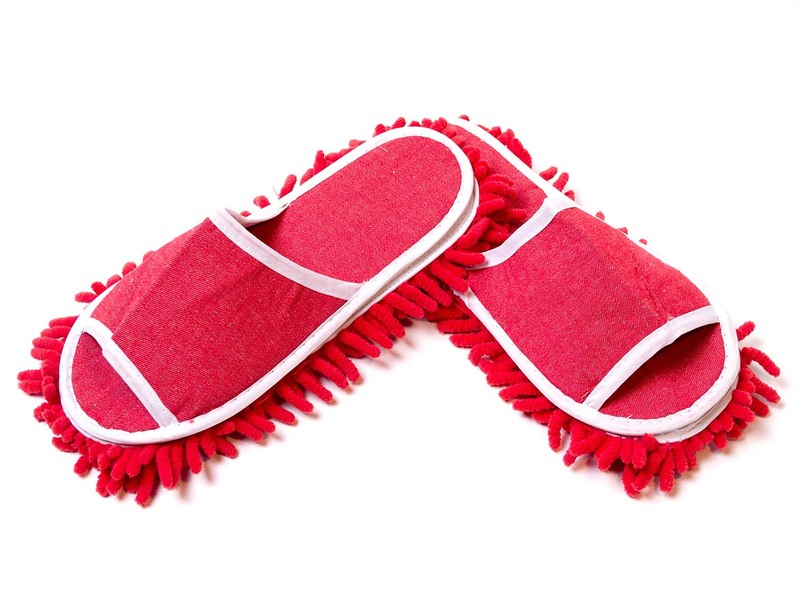 Are you fed up of scrubbing the floor like Cinderella? Enough of the drudgery of a broom and brush? If so, step into these crazy slippers and dance around the room like a princess. Or like a prince of course, this fairy-tale might be ready for an update. Especially if you play Queen's "I want to break free” in the background. 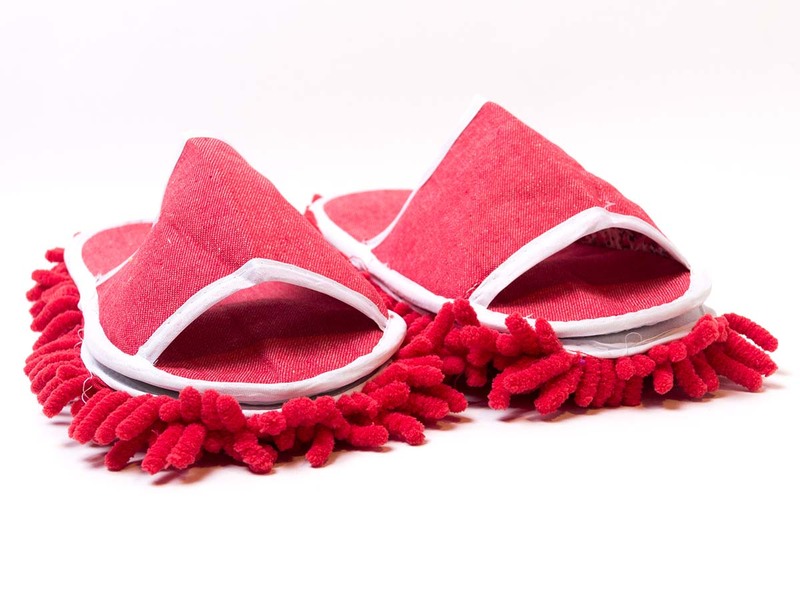 The (removable) sole is made of microfibers that are very capable of handling, dirt, dust and hairs. 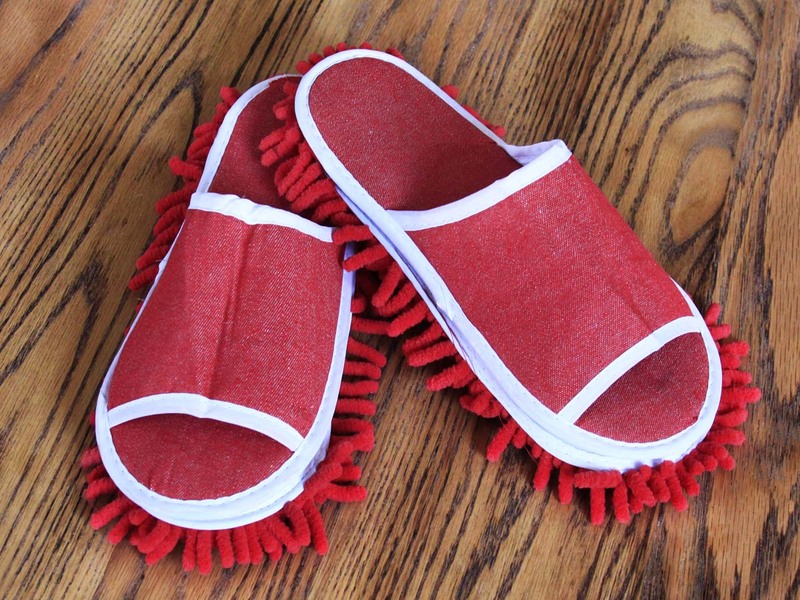 Use them on a dry surface and let your floor shine again. After your dance session you can put the slippers in the washing machine. Wanna bet that from now on you’ll have a lot more time for cleaning? Collects dust, dirt, hair, etc.